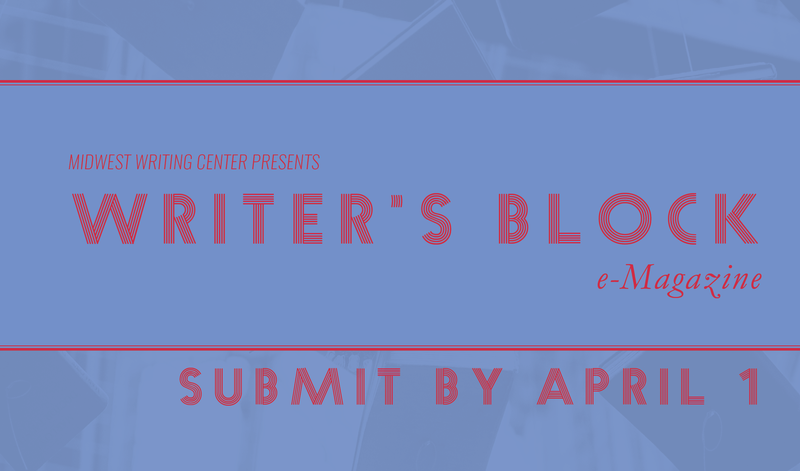 MWC is seeking submissions for its annual Writer’s Block e-magazine, set to be released in May 2018. Submissions are open to any writers living in the Quad City area, and/or any writers who participated in the literary arts in and around the Quad Cities in the past 12 months (or, throughout 2018). Short articles (max. 500 words) on writing, including how-to, tips and tricks, getting published, the writing life, etc.—we are open to ideas, so if you have something you think would be a good fit, contact us. We’re excited to hear your ideas! Please contact Ryan Collins at MWC (309-732-7330, mwc@midwestwritingcenter.org) with questions about submissions. Thanks and we look forward to reading your work.